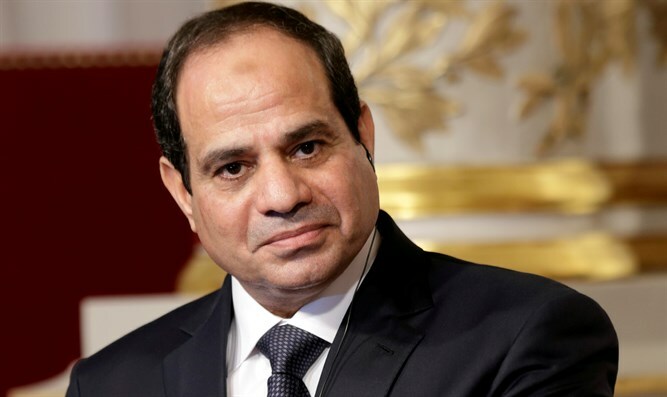 Israeli Prime Minister Binyamin Netanyahu and opposition leader Yitzhak Herzog (Zionist Union) secretly met Egyptian President Abd El-Fattah Saeed Hussein Khalil Al-Sisi in April 2016, reports claim. The meeting, which Israel's left-wing Haaretz newspaper wrote about on Monday morning, was held in an attempt to form a unity government to bring peace to the region. According to the report, Netanyahu, Herzog, and several advisers flew one night during April in a private plane which left from the center of Israel and flew straight to Cairo. After their arrival in Egypt, the Israeli entourage was brought to the presidential palace, where they met with al-Sisi. The reason for Herzog's participation, the report said, was because international experts did not believe Netanyahu's coalition would be able to bring about a significant diplomatic change. They therefore wanted to involve Herzog in the process as well. The report also claimed Egypt pressured both Netanyahu and Herzog to agree to the diplomatic and political steps necessary to advance the diplomatic processes. At the end of the meeting, the entourage returned to Israel. When Haaretz contacted him for his comments, Herzog replied, "I cannot comment on this article."